We like to think that our pets will live forever, but the truth is that their lives pass very quickly. 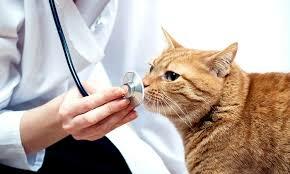 What might seem like frequent visits to the veterinarian to us are not for them. If you think of it in terms of 1 year for us is 7 years for our pets, an annual exam is actually EVERY 7 YEARS in terms of their aging! Their instincts are often to hide pain and discomfort so as not to appear weak to others. During routine physical examinations, we have found significant weight loss, dental disease, growths, abdominal masses, arthritis, skin and ear infections, just to name a few. These are not bad pet owners. They are normal people who have stoic, secretive or (in the case of weight loss) very hairy pets. Without regular physical examinations, countless health issues would go undiagnosed and untreated. Serious medical issues like thyroid disease, renal failure and diabetes would be detected much later in the disease process, leading to lower odds of survival. If your pet is on medications, periodic tests may be needed such as blood pressure, renal or liver values, depending on the medication. 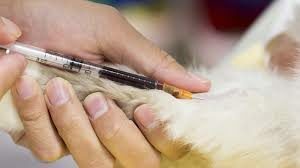 Your pet also has to be seen by a doctor at least once a year for us to legally be able to prescribe medications. Vaccines stimulate the immune system, before receiving one it’s very important that your pet doesn’t have any undetected health issues. 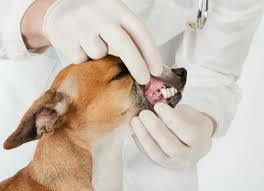 The health and well-being of your pets is our primary concern, after all, this is our life. Senior blood profile (for older pets) – liver function, kidney function, diabetes, anemia and much more depending on the health status and age of the particular pet. Often times we are chatting away with a pet owner while doing our physical exam and they don’t even realize we have done a comprehensive exam on their pet, sometimes they don’t even realize vaccines have been given and their baby is going back on the floor to relax!